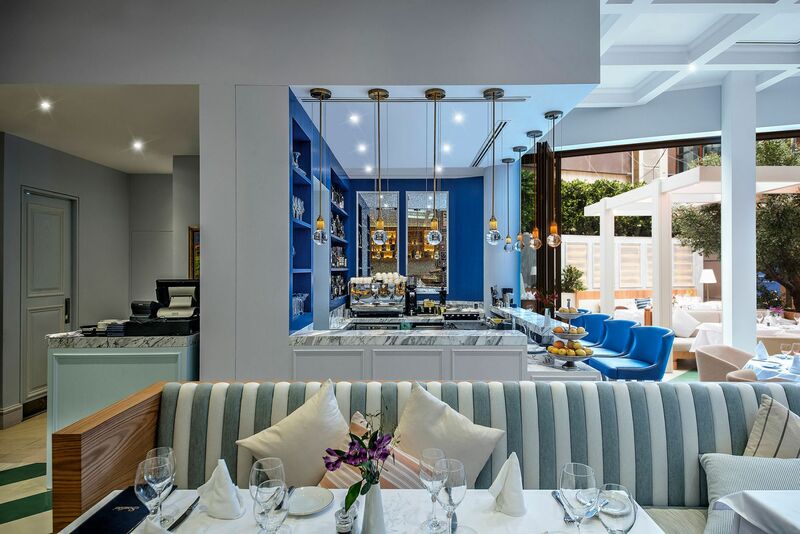 Located in the Four Seasons Hotel, the brief for Scalini, from leading hospitality group Bulldozer, was to offer a new addition to the Dubai food scene although adhering to an established knowledgeable Clientele holding a wealth of experience, character and history based upon the original venue created many years previously in London. 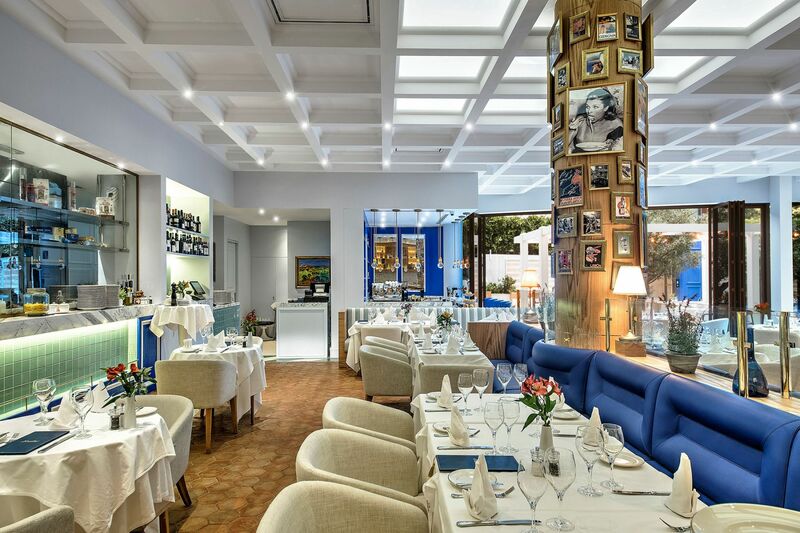 Throughout the years Scalini's has maintained its high-end food offering and welcoming interiors to international global celebrities alike. 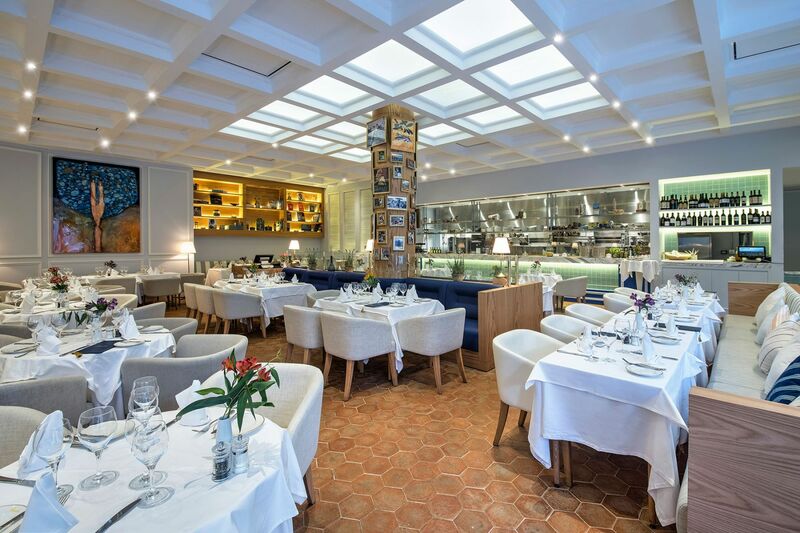 Founded by two brothers in 1960s London it has continued to maintain the high standards of cuisine, experience and offering. 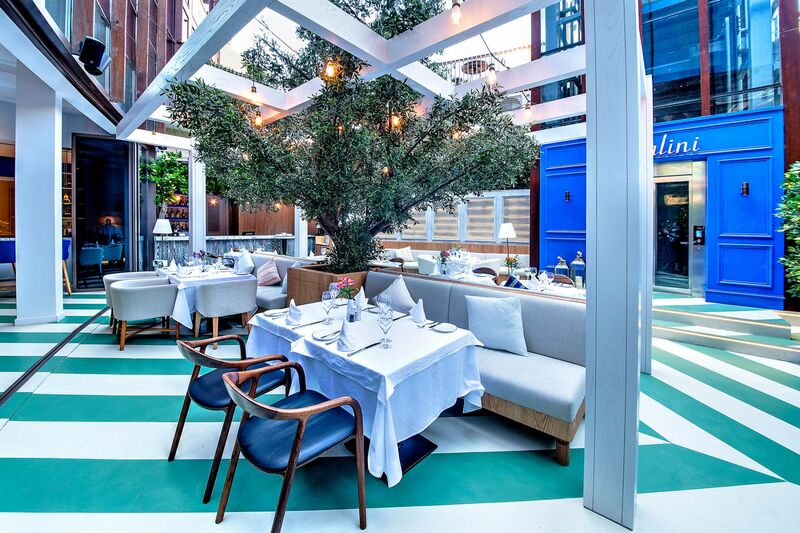 Dubai was to witness a new evolution to this already well-established brand maintaining its original authenticity yet appealing to the local and GCC region. 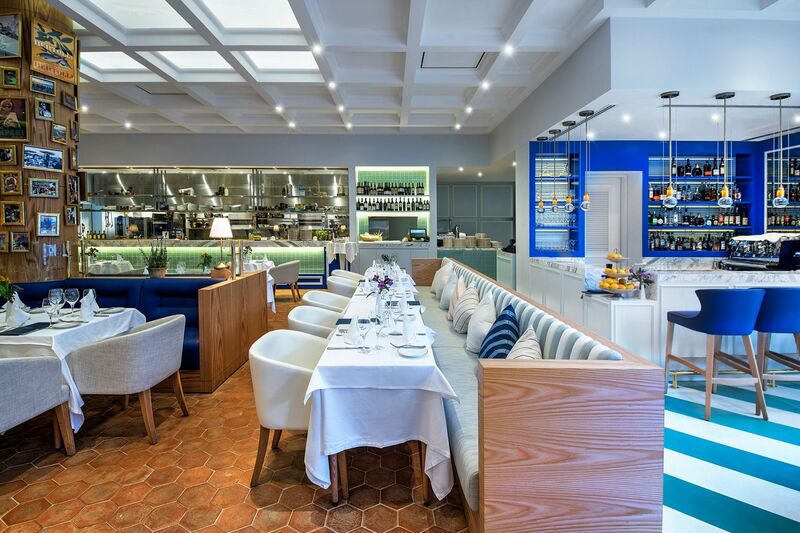 Scalini offers a multi-sensory experience, highlighted by a warm ambience created through intimate lighting and a welcoming, calming colour palette of sea blues and magnolias. A celebrity favorite enjoyed by the likes of Tom Cruise, Vin Diesel and Ronny Wood in London, this venue is set to become a dining hot-spot for not only the elite Clientele of Dubai, but moreover any individual or group desiring an experience enriched with heritage, with thanks to the service provided by the staff that has been passed on through generations, and ultimately to the authentic yet contemporary coastal Italian interior in which we have created. 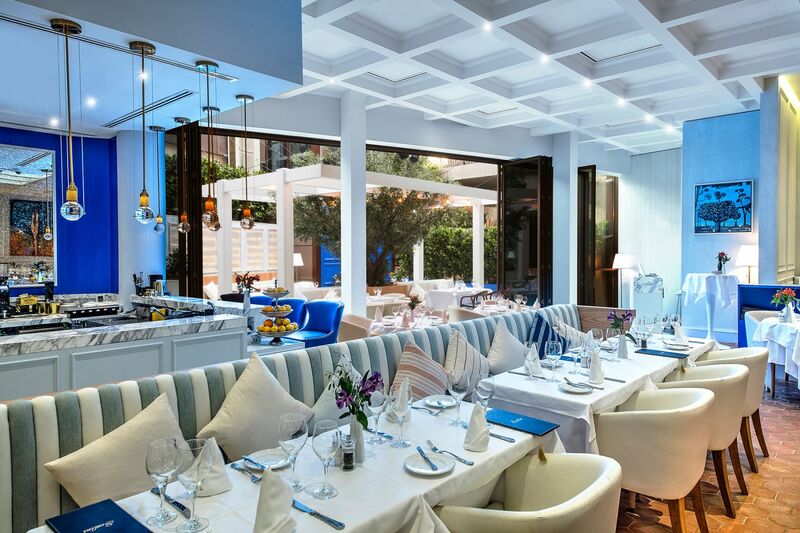 Following Scalini's years of success in London, United Kingdom, we decided to bring Italian eatery to Dubai. 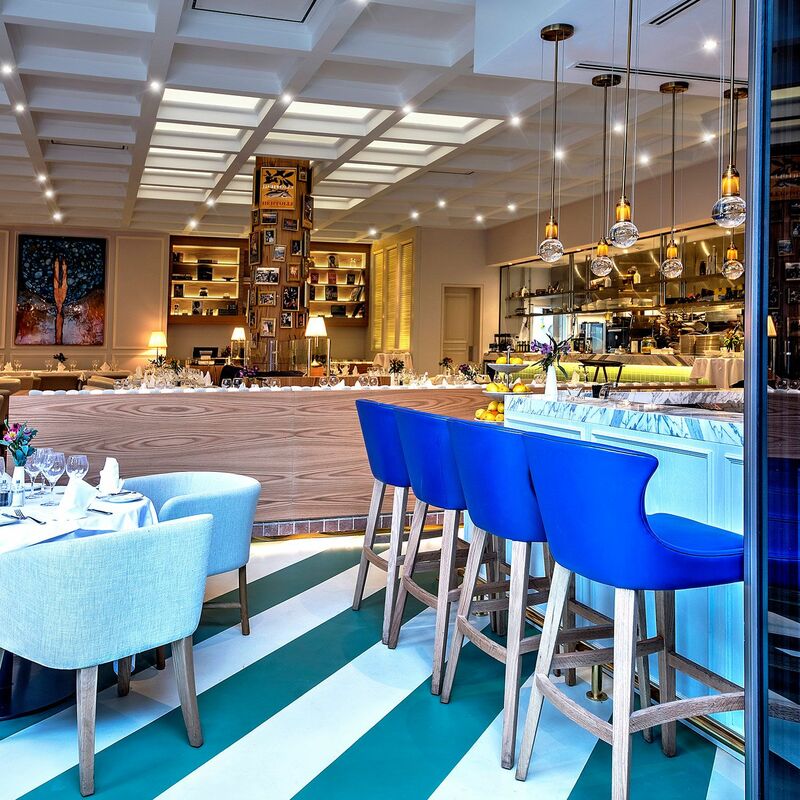 Throughout its history, Scalini has welcomed international celebrities alike within its intimate and relaxed setting, so it was essential to work with interior designers who would be able to replicate the same atmosphere, but within the local context. From the onset, Bishop Design LLC clearly understood what was required. 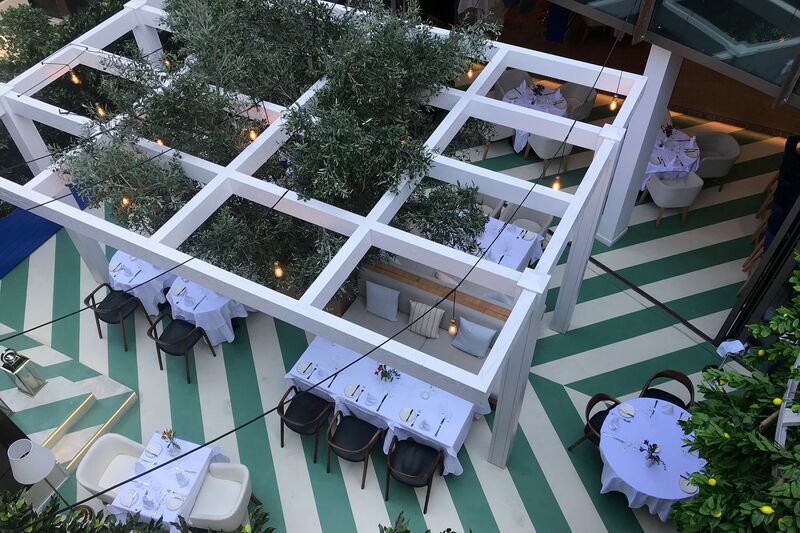 Scalini was to be an immersive experience transporting guests to Southern Italy through, not only the exceptional hospitality service, but ultimately through the interior. 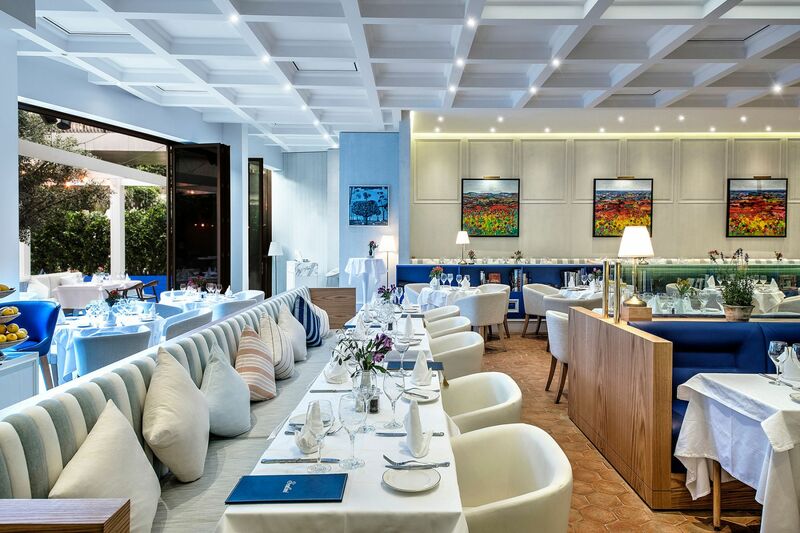 They were able to bring this vision to life through the combination of deep sea tones with whites and magnolia's, authentic terracotta tiled flooring, delicate upholstery and rustic white washed woods, all perfectly achieving an elegant yet approachable setting, whilst evoking the impression of dining at an Italian coastal restaurant.